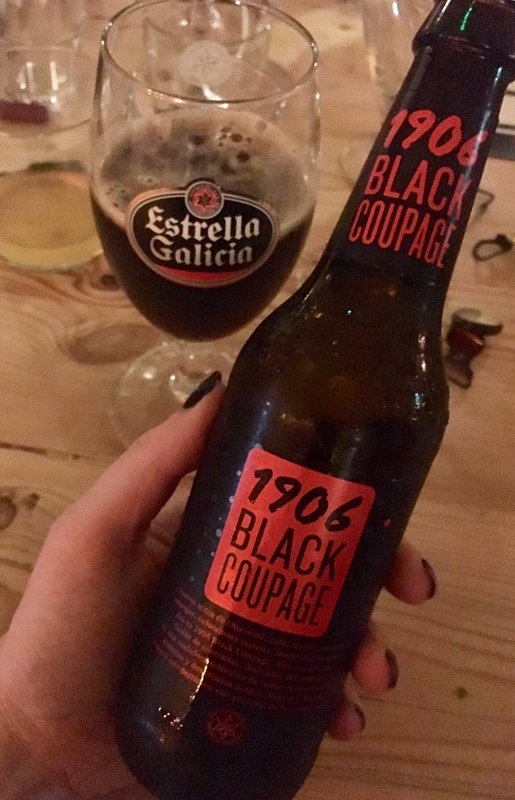 When a pal told me about the Estrella Galicia beer and tapas pairing event at El Borracho de Oro I wanted in. 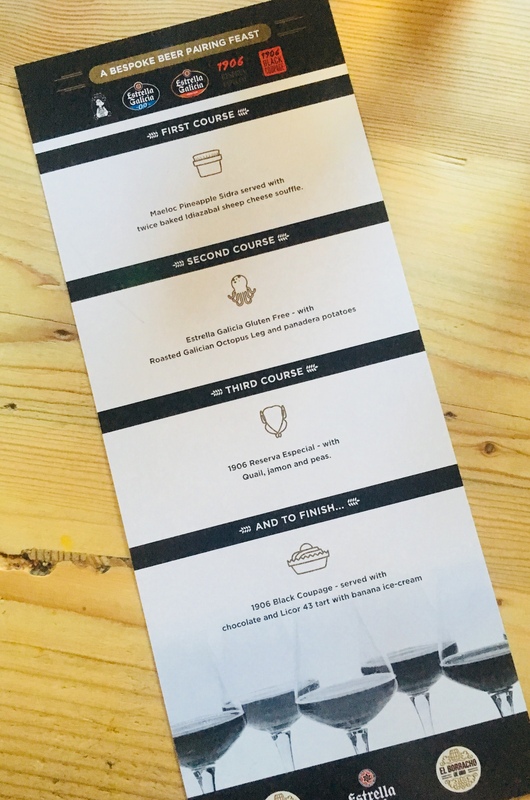 Beer and multiple plates of food: oh just take my money. 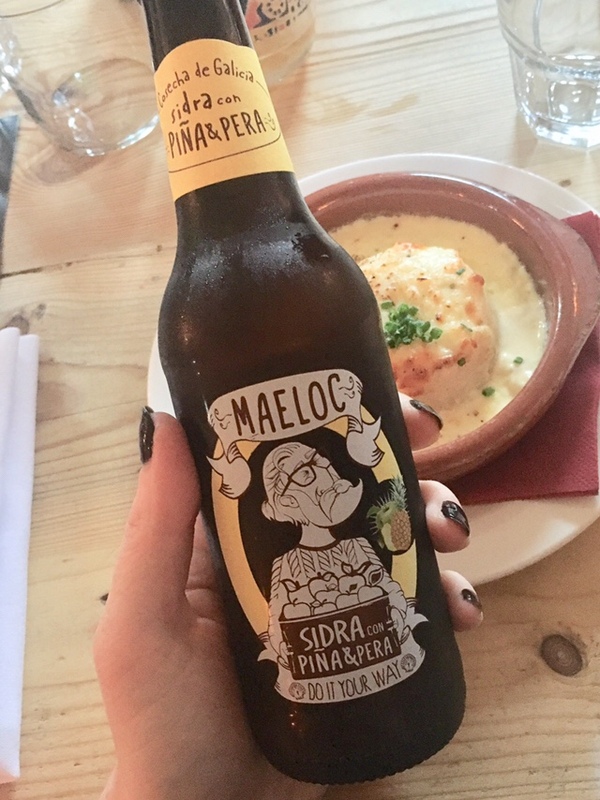 The perfect pre-weekend livener event, I was greeted with a welcome drink before three tapas dishes and matched beers and ciders were delivered. Want more? 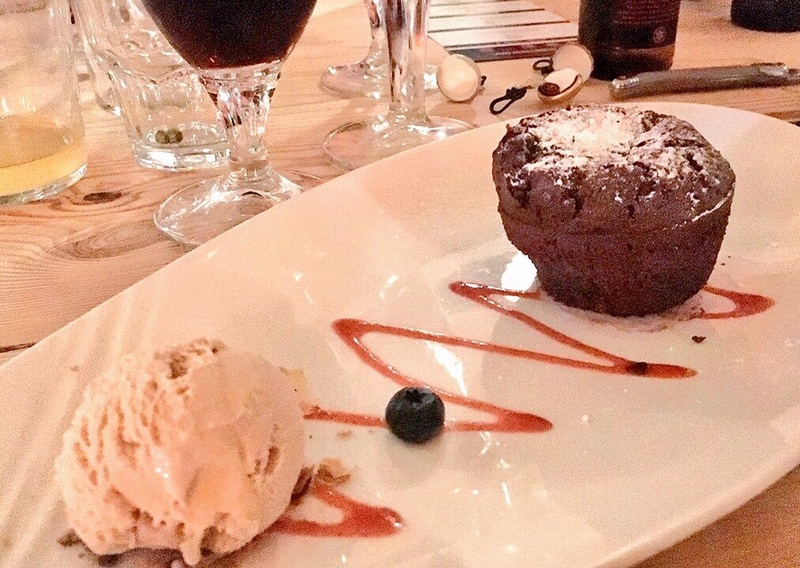 How about a stonking dessert with a paired tipple for good measure? Roll me home, bab. 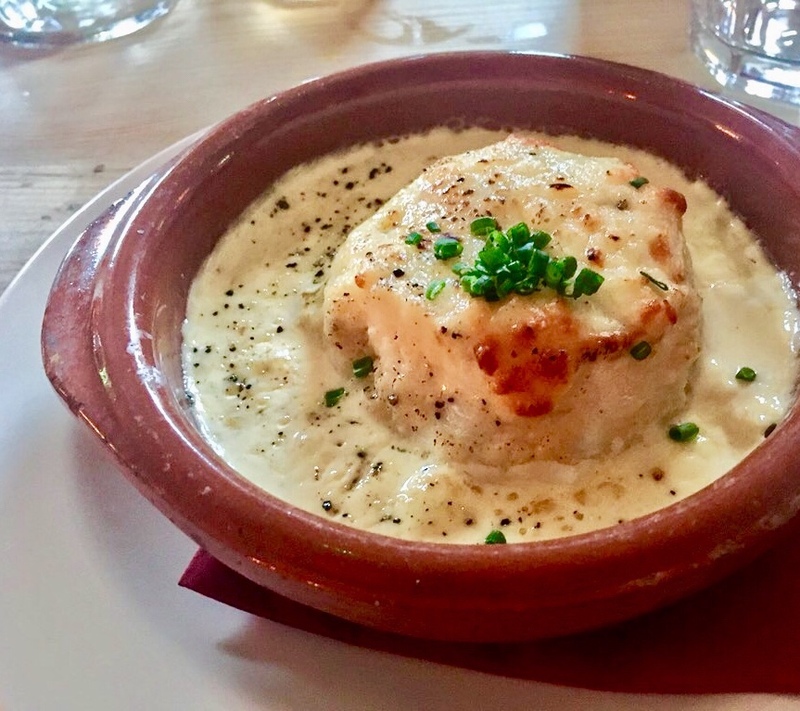 First up a twice baked sheep cheese soufflé (my favourite dish of the meal) paired with the Maeloc Pineapple Sidra. The one and only cider of the supper, despite having a faint smell of banana the cider is flavoured with pear. Made from Galician apples, it was golden yellow in colour with sweet pineapple notes. As for the soufflé, this was pure joy. 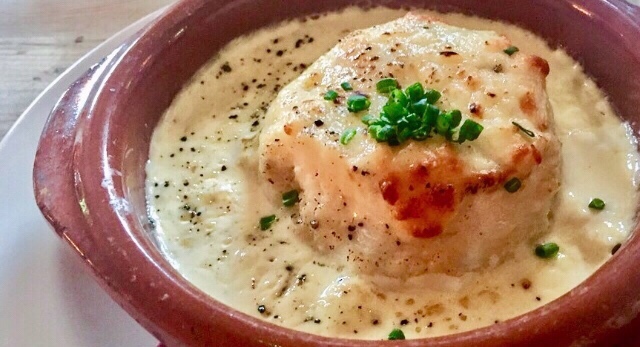 Beautifully soft under a fork, sharp flavours from the cheese, and a luscious savoury cream. Absolutely stunning. 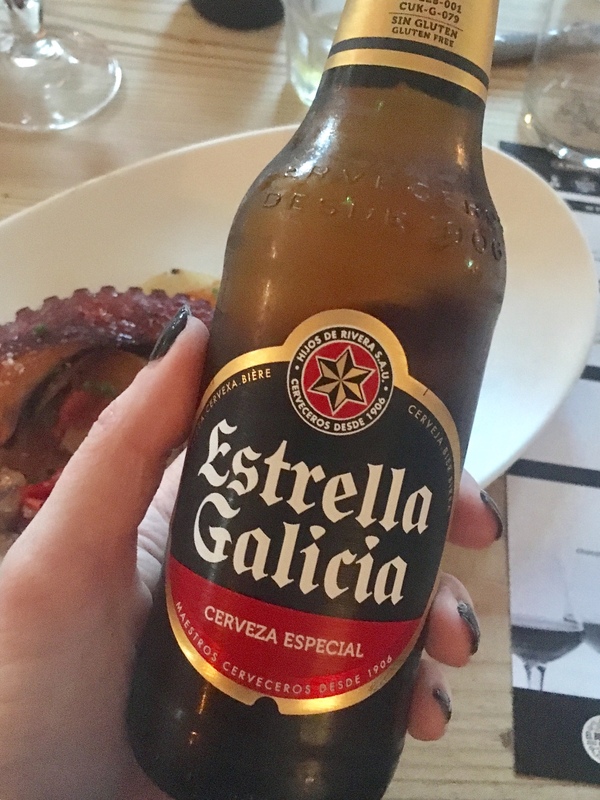 Next up a roasted leg of Galician octopus with Panadera potatoes, served alongside the Estrella Galicia; a pale lager beer. 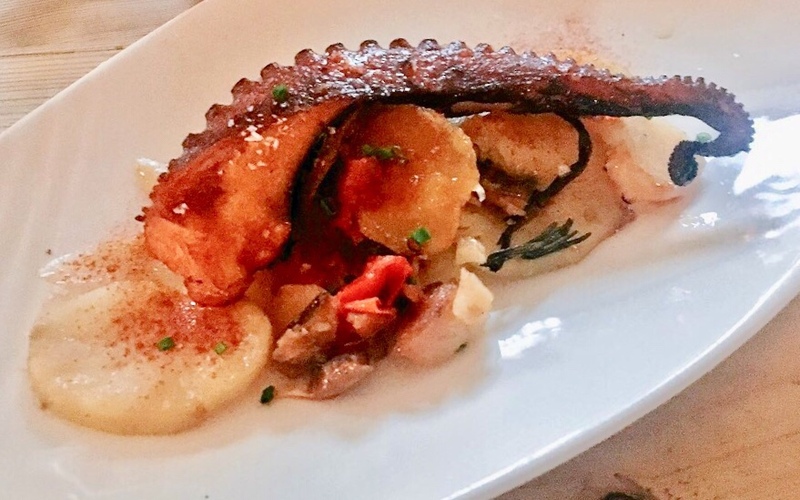 Spiked with olive oil and paprika the octopus was popular around the table. The accompanying beer was the lightest, hoppy in character with a soft aroma and a clean, refreshing taste. This would be a good session beer, or “ideal on a hangover” as I told our Estrella Galicia host, Mark Owen. 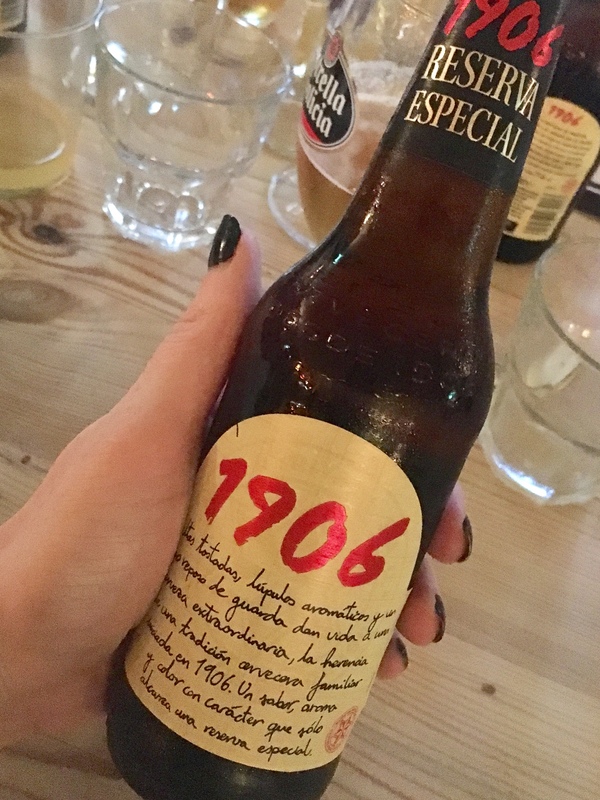 No, not that Mark Owen..
A bottle of 1906 Reserva Especial came next, proving to be my favourite beer of the evening. With dark amber colouration – the result of toasted malts – this is a crisp and dry beer that initially tastes a little bitter before offering a hum on honey sweetness. 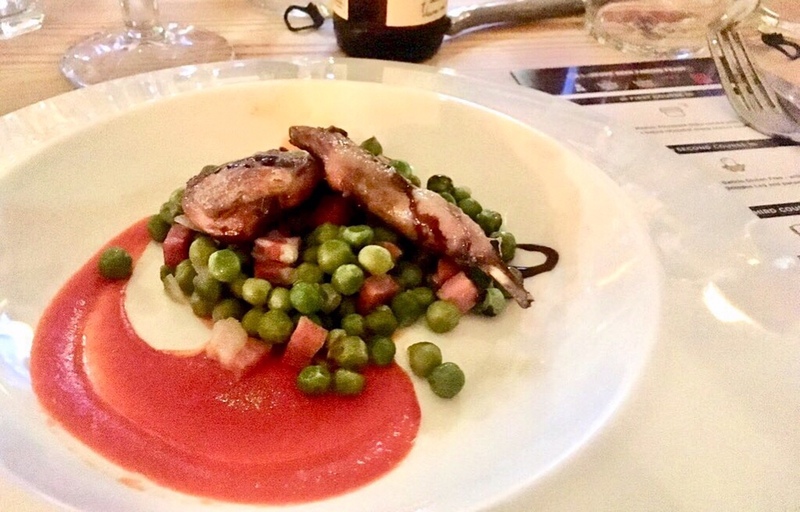 This was paired with quail, jambon and peas; not my favourite dish of the night but well paired with the beer and a lighter course to take us into the heavenly dessert. Taking us into the final course was a dark (approaching black) 1906 Black Coupage and the coulant de chocolate. With the warm chocolatey pud this was an ideal beer to round off the meal. With notes of coffee, this bitter beer complemented the rich baked chocolate dessert. I could frequently overlook puddings but this soft and oozy little number was near on perfect; light with a melt in the middle centre – superb. A lovely informal evening of food and drink at a price point (guest tickets were £25) you couldn’t possibly argue with. Keep an eye out for more special events at the restaurant; they represent cracking value and allow you a different style tapas experience. Are you a fan of El Borracho de Oro? What dishes do you like most? Let me know in the comments. Disclosure: I paid for the food/drink included in this post. All words, photos and opinions are mine, as is my undying love for this place.